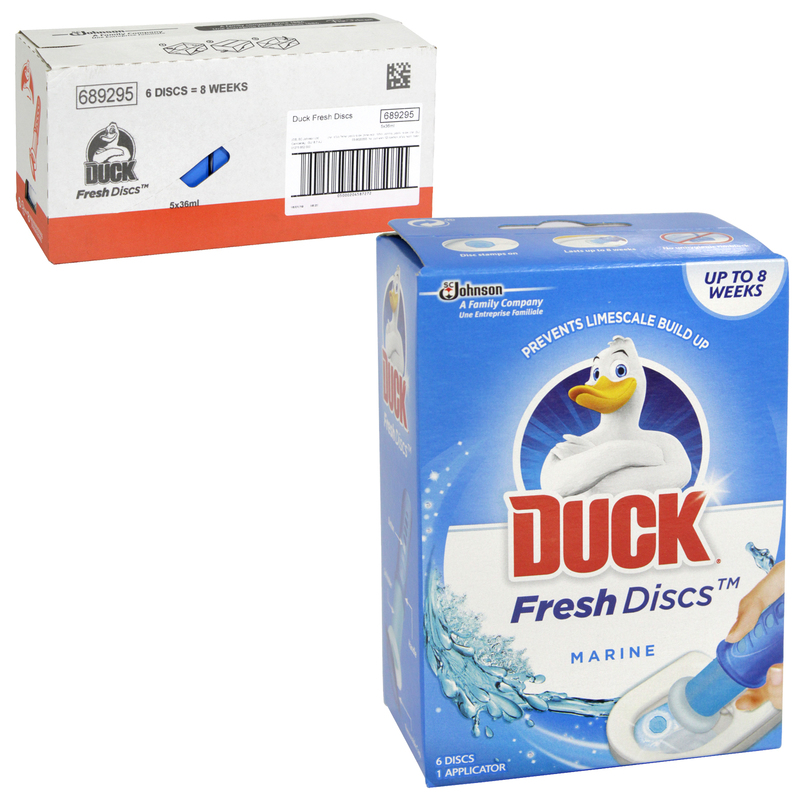 Just one shot of Duck 5 in 1 Fresh Discs Marine will deliver five different cleaning actions to your toilet. This discreet in-cistern adhesive sits just under the toilet rim, eliminating the need for an unhygienic rimblock. Each flush will release a burst of freshness that cleans your toilet bowl, washes away limescale that harbours germs and continuously fragrances with subtle Marine notes. Our formula also kills 99.9% of bacteria.